Provides an authentic looking smooth finish. Our discrete door skins are made of a high impact, compression molded, fiberglass; in addition to being corrosion free, it also resists warping, splits, bowing and cracking. The polyurethane core provides insulating properties that are six times greater than any wood door. In addition, our formula is free of chlorofluorocarbons. Mennie's fibreglass entry doors are proudly installed at the entrances of some of the most prestigious homes in Paris, London, Tokyo, New York, Sydney, Dubai, Seoul, and throughout the world. Why? 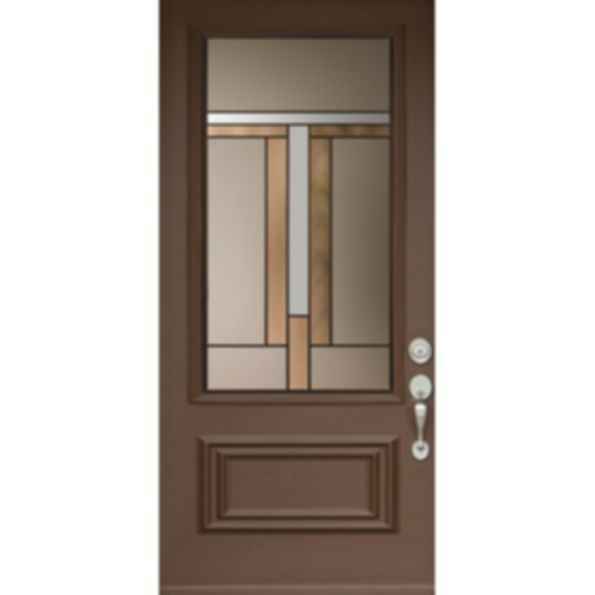 Mennie's Fibreglass doors present the same finish as traditional wood doors while offering the homeowner significant energy savings, enhanced security and superior durability versus any other entry door product. As a leading manufacturer of fibreglass entry doors, Mennie's dedicated team of engineers and designers around the world have been able to produce fibreglass entry doors which combine luxury, classic style, with beauty and strength. Simply put, they are the best quality fibreglass entry doors in the world.